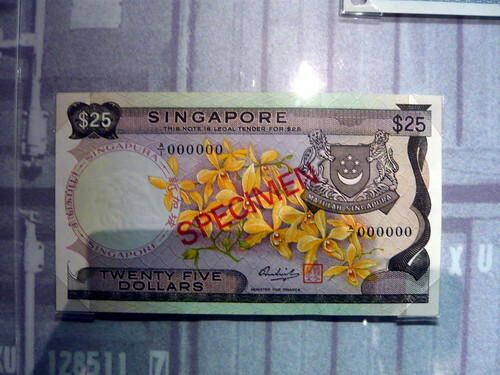 I remember telling people in the past that there was such a thing as a legal tender note of 25 Singapore dollars. Well, I found this at the National Museum. So there. Meepok: The reason why this particular $25 note is so deeply etched in my memory is I have 1 piece of this when I was a kid. It was my ang pow money and back then $25 was a lot of money to me. Vote Out PAP? I Don't Think So.